Hope – under-rated, under-used, and vital! Had the opportunity Tuesday morning to pray for a 7 week old baby girl, Ruby, in Altnagelvin Hospital, Londonderry. Mum and dad, Annie and Johnnie, were understandably devastated, and totally exhausted, as Ruby is the surviving twin who were born at 24 weeks, and weighed in at birth at less than 1½ pounds. Her sister died at 6 days. Ruby has a major lung disease, and has ‘acquired’ the e-coli bacteria in the past week. Prayed for God to do a major miracle in her – breathing hos breath through her lungs and cleaning them out, and ridding her system of the bacteria. Annie and Johnnie have 3 other children, but of course, are spending much time at the hospital in their desperation. The prognosis has been that Ruby will NEVER be off the ventilator: I prayed and broke that ‘curse’ – a good friend who is a specialist ‘baby’ doctor messaged me – in response to mine, with the details of Ruby’s condition – that so long as the bacteria level reduces (it is), and the lungs improve (they are), and that close checks are kept on her heart and brain (they are), there’s no reason why she shouldn’t be home by her original due date… 24 August. So that’s what I prayed: and it was lovely to see what HOPE did for the parents – the first hope they’ve had since the birth of the twins and the loss of the sister. Hope is something some people have a go at me for: for giving hope to people. Why did Paul emphasise it as one of the three key fruits in 1 Corinthians 13:13 – love, faith, and hope….? Annie was so much more at peace when we left – Johnnie had had to leave – it was a blessing to see some of the heaviness lifted off of her. Hello Davy, all I can say is my stomach has been pain free yesterday and today and I can’t believe it. I was going to message you at the weekend and let you know how I was. Im also feeling more positive Davy. I am very thankful to you and Paul for taking time to come and see me. I will keep in touch and let you know. I haven’t been out to see my dad but I will let you know. Keep praying for me please. Then to Ivan – with liver cancer: some people feel heat when you pray for them, others a tingling sensation – Ivan felt his body acting like a sponge, just soaking in the presence and power of Jesus. Looking forward to hearing the ‘after-effects’ of becoming saturated! Thank u so much Davy, U are a darlin and we really appreciate your prayers and support. Emma having a GOOD day today. Resting now. Hugs to u and Paul. We’re popping in to see Emma again tomorrow, along with a bunch more other people that Davy is stockpiling for prayer, as word gets round about what God is doing! and here’s the proof…. God’s pretty amazing, huh? Don’t forget he created this calf, too…. Friday was yet another trip to Londonderry and the area around… it began with me realising at about 8 a.m. that my car MOT expired on 27 June: and it’s often 2 weeks wait to get it into the MOT centre. I was blessed to find that they’d had a cancellation, at 9 a.m., and relieved to say that it passed, with an advisory concerning the front brake pads… my good friend Davy King blessed me by not only booking it into a trustworthy mechanic, but refusing to let me pay…. bless you, Davy, and thank you! I’m still getting my head around the geography of the Derry area, as well as what God is doing! First up went to er… fill in the space!… to pray for a lady, Christine: extreme problems and pain with walking, some of it to do with her knees, some her feet… in moments, she was walking without pain, and perfectly normally – once she’d got used to not walking as though she still had the pain! She asked if we’d pay for her mum, I think she is – Betty – mid 80’s, hardly able to walk at all, zimmer frame, commode and bed in the room she lived in and didn’t leave. No existence at all. A friend, I think, Carolyn, arrived – with major circulation and water-retention problems in her left ankle and foot. I have to say I’ve not seen such a badly swollen and deformed foot and ankle in my 30+ years praying for people. All that doctors could do was suggest paracetamol for the pain: which was pretty extreme more often than not. Well, Davy got on his knees and got hold of her foot: and as I prayed, he felt – and so did Carolyn. We watched the swelling go down, watched her ‘true shape’ foot appear, and she was stunned…. the pain went, and she was able to stand and walk as she hadn’t been able to for many a day. It was a great afternoon in that farmhouse! Rather than go on ‘listing’ the miracles and healings, I’ll leave it there: maybe you’re getting bored of reading about them I know for sure that I’m not getting bored being involved in them! I’m still as much in awe 30 years on as I was at the beginning. I think that when that awe stops, that’ll be the day I stop…. Back to Londonderry Tuesday, and maybe Friday this coming week, before heading off on a (potentially) gruelling few weeks of travel, to Romania, with Australia back to back, a short gap, and then to Cali, Colombia at the back end of July, for between 2 and 3 weeks. Knees – get used to the idea!! In November 2014, a long-time friend (40 years – help!!) Ray Goudie, an incredible visionary and motivator, who with his amazing wife Nancy, head up NGM, a music/media/dance ministry in Bristol, became ill. It was 6 months before it was finally diagnosed as pancreatic cancer, which normally ends your life quite quickly. Ray and Nancy have never once admitted defeat, and Nancy’s posts over the past 14 months have yes, been factual, never denying that the disease was affecting Ray significantly: there have been times where Ray’s condition has been pretty bad, oncologist’s reports have been negative, and life-threatening. I’ve known the Goudies since 1976, when we were collectively in British Youth for Christ: they went on to form the band, Heartbeat, which had a chart hit in 1987, and Top of the Pops performances (no, not with Jimmy Saville! – Janice Long!! ), but their vision lived out through NGM has been incredible. Many young people’s lived changed forever. I had the privilege some years ago of speaking to the students of one of the year-long training schemes (I didn’t speak for a year – in fact, I think it was just one day!! – but it was great to be with them). Last Friday, Ray was told that the cancer causing ‘thickening’ in his bowel was preventing him from pooing: and that he had a very few days to live. Ray and Nancy’s faith kicked in big time: I had been feeling for a while that I’d love to pray for Ray, but they have so many people worldwide praying that I didn’t want to ‘push’ myself forward, but God had been speaking a few things to me about Ray that in the end I had to message them and offer/ask to go and see them. Years ago I’d heard David Pawson preach on ‘Take off the graveclothes’ in Lazarus’s story: that yes, Lazarus had come back to life, yes he’d walked out of the tomb, but he couldn’t take his own graveclothes off…. and I felt that I wanted to go and see them to at least be part of that process. Nancy’s response, after they’d prayed and talked about it, was yes… Saturday afternoon, she asked if I could go Sunday. So I booked my flight to Heathrow, drove to Bristol, had about an hour or so with them – that was inspirational to a visitor, because of their incredible faith. Ray had pooed! – first a ‘pea’, then a ‘Mr Whippy’! – and Ray looked amazing for someone nearly dead (! ), and their faith filled the room. I could have stayed hours, just being in the presence of God, an atmosphere of faith, but I’d gone for purpose, and fulfilled it, so drove back to Addlestone, Surrey, where friends look after my car, and subsequently flew home. It was a wonderful day…. and Ray was told on Monday that he could go home on Tuesday. I’ve asked Nancy if I can post their posts from the last few days here: they are worth a read, bearing in mind they were written after a death prognosis’ had been spoken over them. Ray’s gone home to live, not die…. Please pray for this incredible couple, for Ray’s continued healing, and for the enemy to be so angry that he ever took Ray on in the first place…. Well……have we got a story to tell you! It a long story but I will try and shorten it here on FB. A friend of mine who happens to be Smith Wigglesworth’s great granddaughter contacted me with a verse for Ray – Mal 4:2 and asked Ray to meditate on it. When Ray did he said the presence of God came down in his room in such a deep way. From that time on there was a change in Ray. He no longer was planning for a funeral. She then contacted again and gave some instructions for prayer etc. Ray and I spent some very intimate time with Jesus together in his hospital room where we could sense God was doing something really special. During that time Ray prayed that God would speak to someone somewhere in the world who would contact him with a word to pray for him. Out of the blue Paul Manwaring from Bethel church in Redding contacted Ray saying that he had been told prophetically that he had an anointing to see last minute miracles and had asked if Ray fancied being the first! We knew of Paul and he knew of us but we have never met and don’t really know each other. Paul and Sue face timed Ray from the empty sanctuary at Bethel where so many have been healed from cancer. Paul said that God had given him faith to pray for Ray. They prayed against the cancer and proclaimed it is done. Ray felt such a sense of God and it was obvious that God was doing something. Ray felt like Lazarus – he had been raised but needed the grave clothes taken off him. Paul also commanded Ray’s bowels to work. The next day (yesterday) Ray went to the loo to try and see if his bowels would work – but nothing. Last night Ray called me to tell me that he had woken up and felt he needed the loo. He went and his bowels moved – and not just moved but properly moved. The nurse said that would not happen. She told him that if his bowels moved it would not be a proper movement but possibly just bits of pooh. We have never been so happy at a proper bowel movement before – ha!!! Ray feels he is in the middle of a last minute miracle story – it’s God who is turning the pages. It is so wonderful. Keep praying. We like Abraham have looked at the circumstances – his body as good as dead – and believed that God has the power to do what he has promised. There is so much more to tell – like the palliative nurse who is in charge of the treatment for Ray – she told Ray at the beginning they would do the steroids for two days and then that would be it. She came back yesterday out of the blue saying that they would extend it until Monday and even on Monday they might extend it longer if his bowels did not work. Our surgeon suggested that this could be because they have never seen someone respond so well. Paul Manwaring said that he had never seen anyone with Stage 4 cancer and been given a few days to live looking so well and so at peace. Ray does look well and is in incredible peace – there is no doubt God is doing a miracle. Keep praising God and thanking him for what he has done and is doing. We are excited to see what happens next. What a great day we have had. First of all Ray during the night Ray was so aware of the presence of God in such a deep way. He had prophesied last night that his bowels would work today and in the early morning – his bowels worked and again later in the morning. This is such good news as one of the things the nurse said was that his bowels may not ever work again. (By the way – the nurse was not saying anything out of order but was just saying what the normal medical pattern could be – all the NHS team have been great). This morning Ray decided to come into our Caedmon Celebration day – this is the day we have every year to thank God and celebrate God giving us our amazing buildings. God had promised that he would give us a Missions and Arts Complex and when we started praying for it – we didn’t have a penny!! God took us on a faith journey which lasted five years and provided £3,000,000. We have no loans on the property at all and never have! God was so faithful to his promise and the five year journey was incredible – if you want to read the story then it is in my H.O.T. Faith book – http://www.ngm.org.uk/product/hot-faith-book/ So every year we take time to tell the stories of faith so that we will always remember how incredible our God is and how faithful he has been. Today I went in and spoke to all of ngm and said that when we are between a rock and a hard place – it won’t be a dead end. It wasn’t for our Missions and Art centre and it won’t be now with Ray. God is so good! When I had finished I told them that we had a special guest who was coming to speak with us all. Then Ray walked in. It was as though Lazarus had walked into the building. The whole place exploded with cheers and joy. Ray spoke and encouraged us all with what God has been doing with him. Ray is standing and declaring the promises of God over his life. Please join with us in believing that not one of all the good promises of God to us will fail and that nothing that has set itself up against us will prosper! Another prayer request is that just recently Ray has developed a huge hiccup kind of reaction – not sure what it is – perhaps a side effect of one of the meds he is on. Could you pray that it stops as it is a nuisance. Thank you. After such a bad day yesterday – Ray has had a brilliant day today! 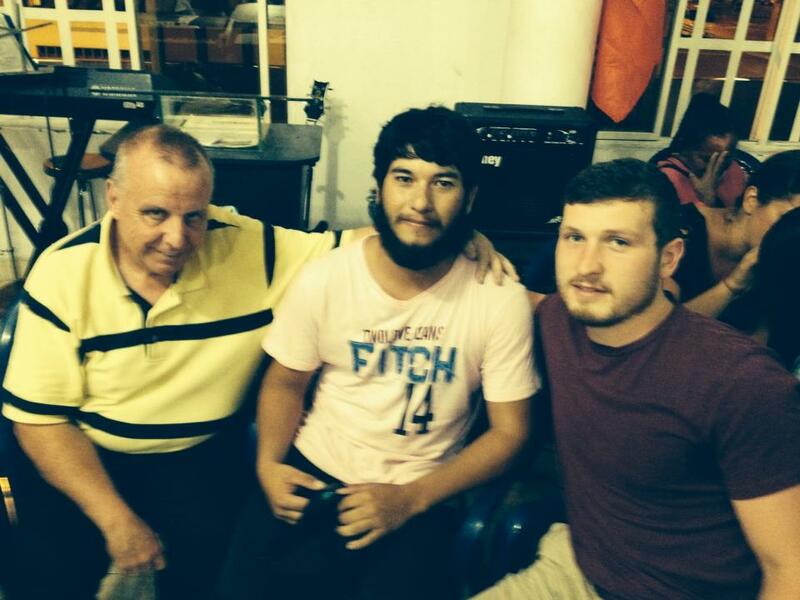 Testimonies from the ‘Cali, Colombia’ of NornIron….! Last Friday, and again Tuesday, I made my now-regular pilgrimage to Londonderry, as it seems word is spreading like wildfire that God is pouring out miraculous healing power on that city, and across the north of Northern Ireland. Davy King is receiving constant phone calls from people asking for prayer – now covering an area from Londonderry to Portrush to Coleraine to Dungannon. What God is doing in the north of Northern Ireland (NornIron!!) is something I’ve not seen in the UK. The ‘days’ in Derry are getting longer – not just because of mid-summer and light evenings! – but because the number of people wanting prayer – from evangelicals to Catholics to not-yet-Christians, is increasing quite incredibly. It seems that Davy knows about half of the people in Londonderry (120,000 total population! ), and the half he doesn’t know, know him! I generally get there about 11 am, and I haven’t been leaving until around 12 hours later… and much of that time is praying, some driving of course… I was checking with Davy yesterday, to make sure, and he confirmed that, in the three months I’ve had involvement in Derry, there isn’t a single person who hasn’t either been healed, or is in process of being healed… I’ve not seen anything like it outside of Cali, Colombia, for the sheer volume of people healed, the ‘enormity’ of some of the diseases/sicknesses, and the ‘percentage’ rate of people healed…. we tried yesterday to think of people who HADN’T been healed – and couldn’t. It reminds me of something that changed my life forever, back in 1987. I’ve said this in blogs in the past. but that year, I sat in a church above the Security Police station in Guangzhou, China, with five Chinese pastors, including Samuel Lamb, who thankfully spoke English(! ), listened to them tell stories of endless miracles, resurrections, healings – and asked them what they say to people they pray for who AREN’T healed. They had a loud Cantonese discussion, some laughter, and Samuel said, ‘They don’t understand the question’… because ‘it’s NOT possible for God NOT to answer prayer, and that situation (people not healed) NEVER arises’…. What’s happening in Derry is the beginning….scratching the surface of that sort of Christian lifestyle, which SHOULD be our NORM…..
You might remember Julie, the young mum with four kids, who God healed of breast cancer, and lymphatic cancer, and then just recently, of cysts on her ovaries through a prayer prayed through Facebook messenger… when I first met Julie and Andrew, her husband, Julie’s mum, Gloria, was there. Seeing Julie last night, she told me that her mum has been totally healed – she had osteoarthritis, and fibromyalgia… she’s in her 70s, and since 4-5 weeks ago, she runs up and down stairs endlessly sorting out the kids, and before Andrew gets home from his night work (* am), Gloria has washed and polished the floors, tidies up toys, cleaned the house…. previously, she had no energy at all, she couldn’t sleep, and now she’s sleeping like a log…! Everyone at Joe and Pat’s house had major measures of healing – including the customary osteoarthritis and fibromyalgia! – and it was an amazing afternoon. A good number of others were healed Friday and Tuesday: looking forward to going back on Friday!! Two brief updates… a couple of weeks ago, I wrote the testimony of Julie, who’d had breast cancer, and cancer in her lymph gland and nodes. She’s 35 (I think), married to Andrew, with four children, aged 1 to 10. She was scheduled to have a mastectomy two weeks ago today, and have the lymph gland and nodes removed: but within a few hours of prayer, the large tumour in Julie’s breast had shrunk to the size of a pea, and by the time she saw the Oncologist 2 days later, it had disappeared. She went to hospital a week ago yesterday, where tests, a scan, ad a further biopsy confirmed that the ‘pea’ had gone, there was no cancer anywhere in her body. She was due the results last Monday, but the doctor, bless him, couldn’t wait to tell her, and rang her before the weekend to tell her the good news. God’s utterly amazing, isn’t he?! THEN…a few days ago, with discomfort in her abdominal area, showed a large cyst on her ovary. Davy, my great friend in Londonderry, called me, and asked if I’d pray for her over the phone. My phones (I have two – one as a spare and for travelling) had both died – joy oh joy!! – no idea what it’s going to cost to get them repaired… a whole other story! – so I couldn’t call or be called. I wrote a prayer on Facebook messenger for Davy to pray over her….she’d been diagnosed Friday, and was due back at the hospital yesterday. Davy read the prayer to her Sunday: yesterday, the cyst had gone, completely… here’s Davy’s message to me last night: “Prayed for Julie last night pain left her Julie was up at hospital this morning and cyst gone thank God, thank you Jesus, God is so good! Amen.” Prayer works in whatever way we use it – it’s NOT POSSIBLE FOR GOD NOT TO ANSWER PRAYER!! And… the calf I wrote about in the blog a day or so ago, likely to need it’s rear leg amputated, is running and doing whatever calves do, in the field, with all the others… no infection in it’s leg at all. Thank you, Jesus! An amazing day in Londonderry, Feeny, Limavady, Drumahoe, and other places I can’t remember the names of(!) was topped off by watching – at 0030 hrs for 2 hours! – France beat Romania, and in the last minute an utterly sublime goad by mighty West Ham United’s Dmitri Payet (and a magical game throughout from him) to win it…. what more can a boy want, huh???!! Miracles and a miracle goal….even if it was for France! These day visits to Londonderry feel a bit, I imagine, like a doctor doing house calls! I won’t do a list of what happened in each place, just an overview of what God did….it was, as always there, quite amazing. Six or seven houses, spread quite far apart, and generally 90 minutes to two hours in each: a lovely time with a guy named Russell, who God has done wonders in – and in his family – over the past few weeks. God willing, Russell, who totally committed his life to Jesus as a result of the healing that God has done in him, his mum, and brother, has been ‘under fire’ from the enemy as a result of his total transformation, will be baptised in the sea – pray for a warm evening for Davy and me as it’ll be in the Atlantic off the north coast of Ireland!! – in a few weeks’ time. Saw a lovely miracle begin in an ankle and a foot: a severe infection in the foot and lower leg as a result of standing on a stone in all probability was going to result in the lower half of the leg being amputated. 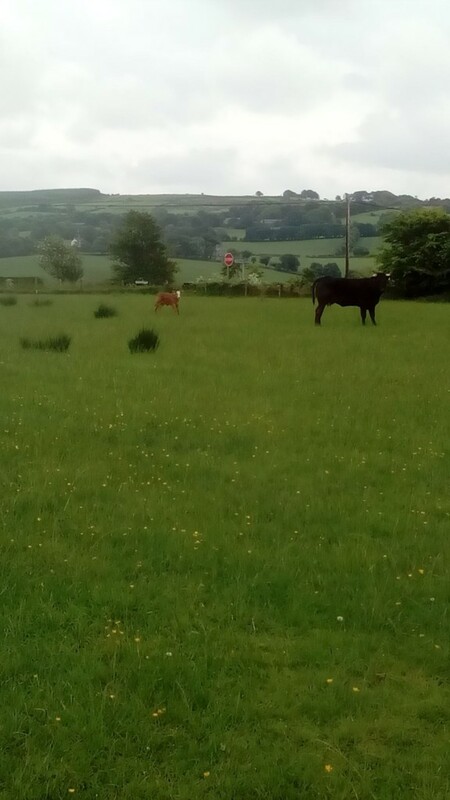 The reason I mention it is not just because the change, following prayer, was marked, but that it was in a bull calf on a farm where a number of the humans have been healed in recent weeks!! Lovely pain-relieving miracles for various people – which meant that discs and vertebrae were healed, in one person the sacroileac joint was healed, spines straightened, a sciatic nerve untrapped, fibromyalgia – devastatingly acute in this case – easing rapidly and going: major back pain in the same man, Robert, as the result of a major car crash 2 years ago – he’s a racing driver, and it was that sort of car crash, not a geriatric bloke hitting him up the rear!! – going…. in fact, 6 people in the family, all in the same house on Friday, had major healings. One, Barney, a severe diabetic, i (was!!??) scheduled to have his right foot and lower leg, up to the knee, amputated in a couple of weeks. He has (had??!!) a huge ulcer in the arch of his foot, a huge hole in his sole as a result, and needless to say, a lot of pain, and a great deal of fear. Heard Saturday that Barney had had no pain, was walking better, and beginning to believe for the impossible that he might actually keep his leg… I can’t even begin to imagine what that would feel like: but it’s over to God to carry on doing what he’s started…. A lady with COPD was breathing freely and easily for the first time in years. Another house: two ladies. Rosalyn suffered severe osteoarthritis and had major problems especially with her feet. Walking was like a ship keeling over – I know that experience! – and within moments she was walking pain free, and upright. The other lady, Lesley, had been healed of cancer in an earlier visit, and was suffering this time with pain across her shoulders, and circulation problems – the pain went, and the pain in her feet went, too, where the circulation had been a particular issue. Davy had a word of knowledge about a particularly sore/painful ear – which went….later on, praying for an older man, who was pretty much deaf in his right ear, suddenly heard everything like thunder! How does God do it? If we knew, it would remove the mystery…. A lovely 4 year old, Jamie, born without the ‘support mechanism’ (the family called in the’tonsils’ at the back of his skull – is that right, Lee or Katie Collier?? please?!!) missing, which support the spine, so his head ‘flopped’, he had almost constant acute head pain, and it affected everything a 4 year old would do – he couldn’t run, jump, hugely restricted ability to play at all. Davy rang me Saturday, to say that Jamie had had no headpain/headaches, had slept well – and we’d seen him running around in the house, and diving head first onto the settee…. lots of change already, more to come. Back there again next week…. One of the ‘regular’ churches I have the pleasure of going to speak at is Brownhill Road Baptist, Catford, London SE6. I’ve been going there for many years, and some dear friends are part of the leadership team there. Dave and Pat Bridle and I met in 1980 (wow….36 years ago!! – I must have been about 3 years old, and Dave and Pat maybe 4!!) when Dave was part of the counselling team at Spring Harvest. As we got to know each other, we discovered a lot in common – the love of football, music, similar humour (!!) – and in the years to follow, got involved with an annual camp from the church, for young people, ‘Camp Challenge’. Friendships made with some of the leaders, and the (then) young people continue to this day, too. There was a whole new ‘feel’ about BRBC last Sunday: in part because they’ve had big changes, with the Pastor retiring, and the appointment of a new young Pastor, Armind, a converted Moslem, from Kosovo. He’s great guy, from just that one meeting with him, and I’ve got a feeling I’ll be in Kosovo and Albania with him before too long! The ‘change’ is always likely with the advent of a new pastor, and it’ll be great (assuming they still want me to go to visit!!) to see how the church evolves from here. It’s a church of about 80 people, from a wide range of nations, which I love, and many responded for prayer of Sunday morning – perhaps many more than usual. 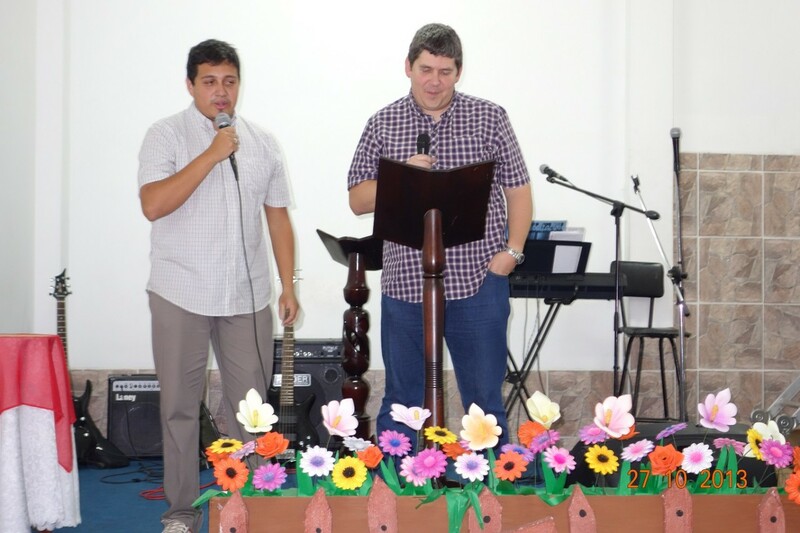 It was a blessing to have my great mate, Paul Goodman, with me: Paul lives relatively locally to the church, and was just brilliant to have with me in Colombia at Easter 2015. Paul, like so many I take me with me on trips, prays and blesses people in the same way that I try to, and I was so glad to have him last Sunday, as we finished praying for people at 2.30 p.m. I reckon I’d have been there until about 5 p.m. if I’d been on my own! It’s such a privilege to see people who are sick healed: to see people who are ‘struggling’ blessed, and leave with a smile: and people who are searching, for whatever they need from God, finding an answer or two. One lovely man, John, who Paul prayed for, was pretty much deaf in his right ear: God is SO good, as John left with ultra-loud sounds in that ear – not that they WERE loud, they just seem it when you’ve been deaf and can hear again! As always, I got a number of people with arthritis – seems to be my forte! – and everyone prayed for testified to pain going, or reducing markedly. There’s always such a wide variety of sicknesses, ailments, and problems: last Sunday they included many ‘regulars’ – cancer, diabetes, asthma – that are only quantifiable as being healed either because of hospital visits, or time (diabetes, asthma), but a lady with fibromyalgia received instant relief from pain from God, another with severe sciatic pain. A number of people want prayer for financial issues, and family problems – and it’s great to see God’s peace flood them just as you pray asking, and pray using some of the countless promises of Scripture. Paul prayed for a good number of people: I haven’t heard from him about the others apart from the deafness, but when I hear, I’ll report….! Over the years, I’ve taken hundreds of people on ministry trips overseas with me, and I get asked a lot by people about going with me. I’m in the process of writing a page for the website about going on a trip with me: some of the requirements, the expectations (from my – and the people I’m going to) perspective, costs, accommodation, etc. I thought it might be helpful to get some of the people who have been with me more recently, to write their own view of what a trip away with me is like, but far more significantly, what it has done for them, their view on who they are and what they can do (that they might not have thought they could do!!). This is a list I’ll add to as I get more ‘testimonies’ back from just some of the people who’ve been with me. Over the years, I’ve taken people with me to many countries: including France, Romania, Sweden, Ghana, Mozambique, Zimbabwe, Zambia, Malaysia, China, Colombia, Argentina, Brazil, Mexico, Bongo Bongo Land, and many more…. Chris Spark – Chris has been with me four times now, to Colombia, and is going again later this year. He’s just taken early retirement from being Director of Mathematics (it’s actually a far grander title than that, but I can’t remember it all! ): Chris and his wife Abigail, who is involved in ministry with the Dalit people, in India, are moving into a new ministry focused era in their lives. Chris is a worship leader, and a prophetic man. I first met Paul in about 2007 when he was preaching in Exeter, and after several years of occasional contact, I offered to help him out with any ministry he might be doing in the area – meaning playing guitar at any local meetings. I didn’t communicate that very well, and Paul asked me to go with him to Colombia! I’d never been west of Newquay before my first trip in 2012. I’ve been part of a team as large as seven, and as small as four – though at times there were only two of us. There are various aspects to any trip, but the main one is always the evening meetings – though Mondays are often rest days. The meetings have times of loud, and sometimes tuneful worship, followed by inspirational preaching – – don’t go to impress people with your theological knowledge – tell stories about the power and the love of God, and then watch Him perform miracle after miracle! Mornings are often spent praying for the sick in hospitals – in one place we went to, a Christian doctor would write out prescriptions to go see the English pastors for prayer! In the afternoons there might be the occasional meeting, or trip to help feed and pray for the homeless with Ana Bustos. There are several places Paul may take you to meet his friends, such as Ana Beiber who runs a shelter for the abandoned elderly of the city. You will come away from some of these completely blown away by the way God is using surrendered people to look after those who can’t look after themselves. I would say that a trip to Colombia would be life-changing in every respect. Paul is a true leader in the sense that he “prepares God’s people for works of service” – basically, he gets you to get on with it. If you lack faith for seeing healing and miracles take place – come to Cali – you will see God use you despite any lack of faith on your part. Finally, Paul’s ministry is a wonderful antidote to the money grabbing, cynical televangelism you may have seen in various places. Your faith will increase and you will experience first-hand the love of God in action in a city that needs Him so desperately. Peter McAvoy – has considered careers in the Marines and the Police, but has a clear call from God on his life to pray for the sick, help the poor, and to do evangelism. Peter’s been with me to Colombia twice, and other places in Northern Ireland as a mate and pray-er for the sick…. A trip to Colombia is well worth the money you spend to get there, it has completely changed my life and how I see and know God. It’s a very busy schedule and there is a lot of opportunity to preach and pray for people(I’ve never prayed for so many people in my life). Paul leads the team really well, it’s always a fun and relaxed atmosphere and there’s always time to just enjoy each other’s company and go and do something fun as a team. You will be challenged if you allow yourself to be. I was put on the spot quite a lot in terms of praying and preaching which scared me but it really stretched my faith and meant I had to trust God in everything. If you are planning on going with Paul to Cali you need to get yourself right with God before you go, if you’re not already right with him. You are there to be Jesus and to serve his people. The people there will be very expectant that God will do something for them and that he will use you to do it, so it’s important that you are on good terms with God. You will visit people like Ana Beiba, Ana Bustos and Enrique(reconocer), these people have given their lives to serve God and to help the broken, they are an inspiration and just being in their company will change you whole perspective and how you live your Christian life. Make the most of this trip, preach as much as you can and pray as much as you can and I guarantee that you will see God move in supernatural ways. You will not be the same ever again!! Brian Louden is a microbiologist from Kent: Brian’s been with me to France and Colombia, has a real passion for God’s supernatural power to be demonstrated in people’s lives, a real gentle, compassionate heart, and a love for people – a key ingredient that the others have too, if you want to be on a team with me! What can I say about a trip to Colombia with Paul Bennison? Brian, proving that preaching is very much on the agenda on a trip! If you are looking for an experience which will challenge you, and pull you swiftly out of anything resembling a comfort zone – whilst giving you the chance to meet some of the most genuine people on the planet then this is it. The churches are always very welcoming – and different from each other. They are churches in the truest sense of the word – don’t expect comfortable seats, air conditioning (might have a fan if you’re lucky) or a slick PA production, but DO expect to find people who love Jesus, who want to make a difference in their community. Often loud (sometimes very loud), meeting in “churches” no big than some front rooms in the West, you get a sense of the hunger for more of the Kingdom. Will your life change? Oh yes. It’s impossible to see God do what He does best – changing lives, and not find it changes your life. And you will see people healed. Physically, spiritually, emotionally – and you get to be a part of it. You get to visit people who selflessly give of their time and energy to people who have nothing, highlights are Reconocer with the inspirational Enrique, and the “home for the abandoned elderly” with the infectious smile from Ana Beiba. The only way to describe both these places is a small piece of heaven in the midst of hell. And the steak……the steak…… Worth the plane ticket alone. Wonderful miracle for Julie – and so much more as a result! I posted blogs on the 18th and 20th May, ‘More from Londonderry’, about a lovely young mum, Julie, her husband Andrew, and the cancer that Julie had had diagnosed in her breast, and lymph glands and nodes. Julie’s tumour shrank considerably immediately after being prayed for, and by the time she visited the Oncologist, it had all but disappeared. She WAS scheduled in for a mastectomy: instead, they re-scheduled another scan, and all the other tests needed to check what was going on…. My friend Davy, her brother, from Londonderry, called me today. Julie had been to the Oncologist for his update on her condition: she was actually due to get the test results on Monday. BUT… the Oncologist said he didn’t want to make her wait until after the weekend, so he gave her the results today. There is ABSOLUTELY NOTHING THERE…. in her breast, in her lymph gland, in the lymph nodes….. God, we just marvel at what you do through the power of prayer!! 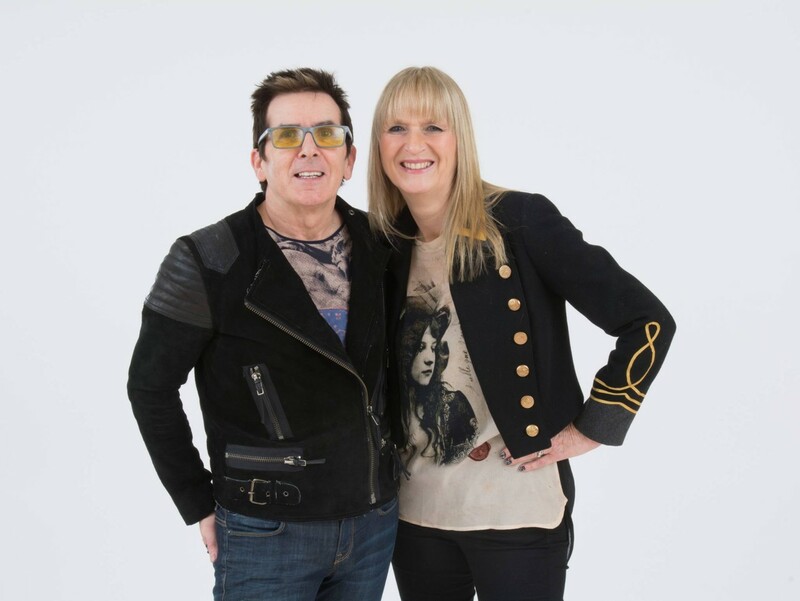 Davy said Julie was ‘flying’, so over the moon, excited…. AND…. 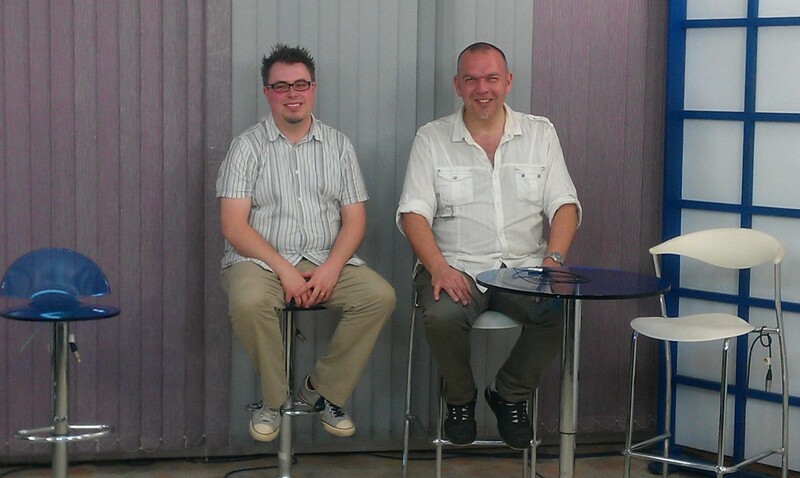 Andrew has been going to church since we first met, he’s got saved, and last Sunday, got baptised…. YEEEAAHHH!!! !